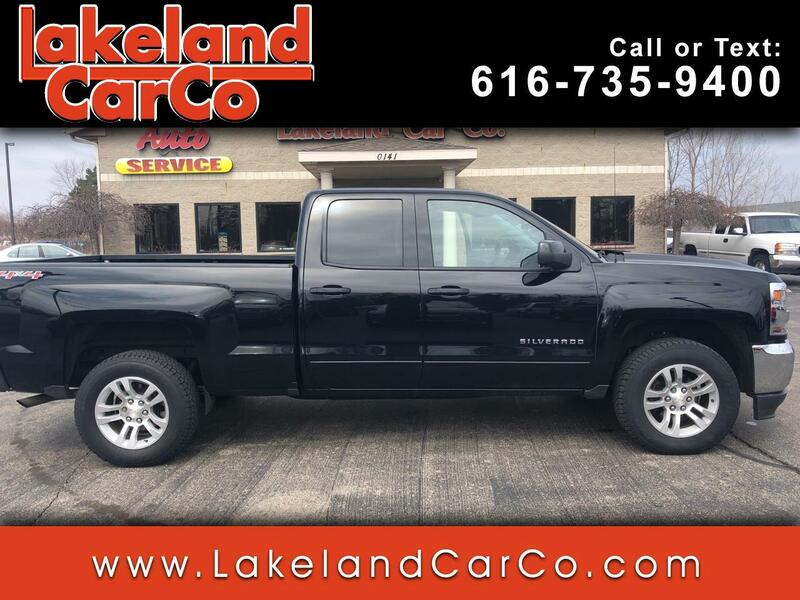 Used 2016 Chevrolet Silverado 1500 LT Double Cab 4WD for Sale in Grand Rapids MI 49534 Lakeland Car Co. Capable for play, plenty strong for work, and tough enough for your family, our 2016 Chevrolet Silverado 1500 LT Double Cab 4X4 is ready to serve you in Black! Powered by a proven 5.3 Liter EcoTec3 V8 that offers 355hp while paired with a 6 Speed Automatic transmission with tow/haul mode. This Four Wheel Drive combination executes perfectly to offer you near 22mpg on the highway and plenty of muscle to get your job done with ease! Our award-winning Silverado 1500 LT is ruggedly handsome with its bold grille, chrome accents, and prominent wheels. Inside our LT, appreciate the quiet ride and thoughtfully designed cabin with convenience features include remote keyless entry, premium seating, power accessories, and a driver information center. It's easy to stay in touch thanks to Chevrolet MyLink radio with voice activation, CD/MP3, Bluetooth, available satellite radio, Android Auto and Apple CarPlay capability, and OnStar with available WiFi.